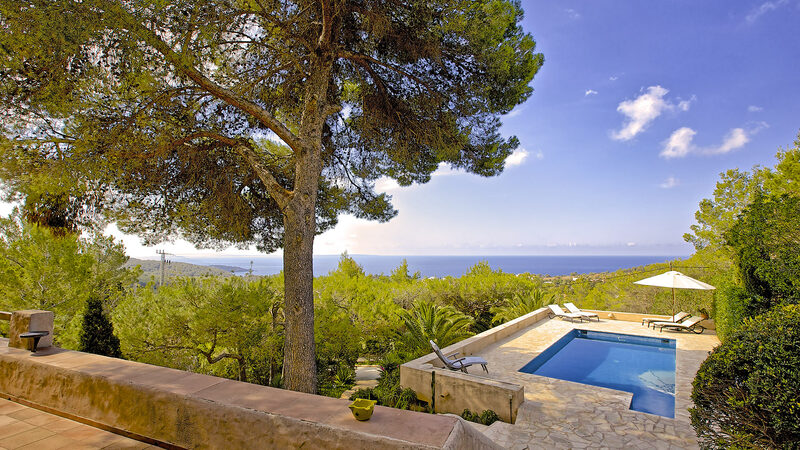 Very nice property with incredible views of the southern coast of the island, the sea and the islands of Formentera and Espalmador. 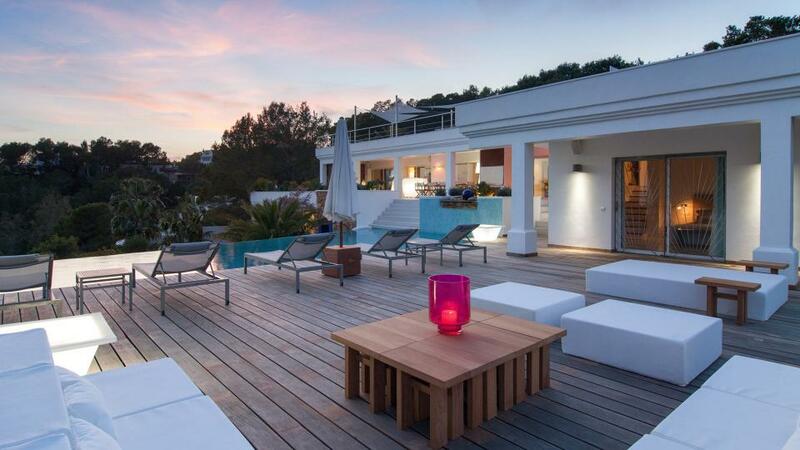 Situated on a plot of 6000m2 fenced. Room, Ground level. This bedroom has 1 double bed 160 cm. Bathroom outside the room, shared, With bathtub. This bedroom includes also office area. Room, Ground level. This bedroom has 1 double bed 80 cm configurable as a double bed. Bathroom outside the room, shared, With bathtub. Room, Terrace level, connecting room. This bedroom has 1 double bed 160 cm. Bathroom ensuite, With shower. 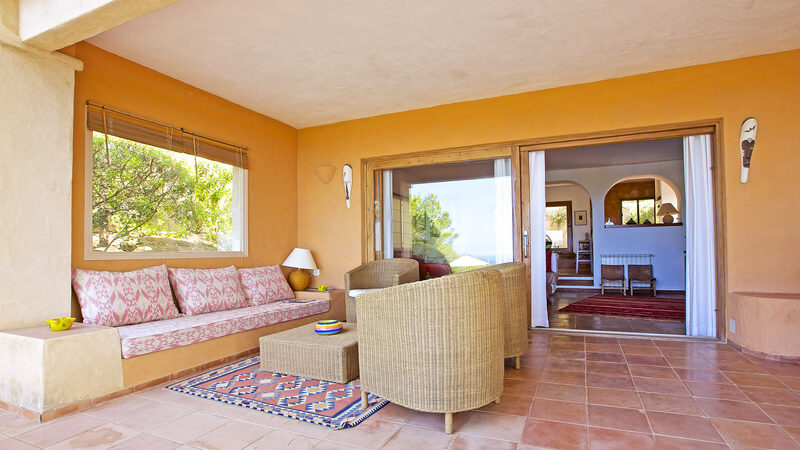 Living room with fireplace and panoramic view of the south coast and the island of Formentera. 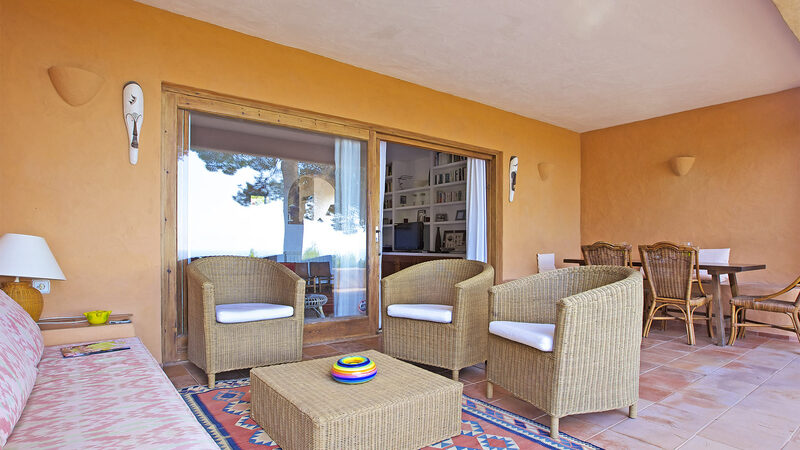 With TV and DVD (International and French channels) and access to a terrace with covered terrace with living and dining place. Kitchen open to dining and living room, well equipped with fridge, dishwasher, oven and gas hobs, Nespresso coffee machine, water boiler and baby-cook. Washroom with washing machine, iron and table for ironing. Nice garden very well maintained with Mediterranean plants. Ses Boques, Es Torrent, Xarcu, Porroig, Yundal Cala, Cala D'Hort, Cala carbo, very quiet and close to the beaches of the South coast and West Zone. 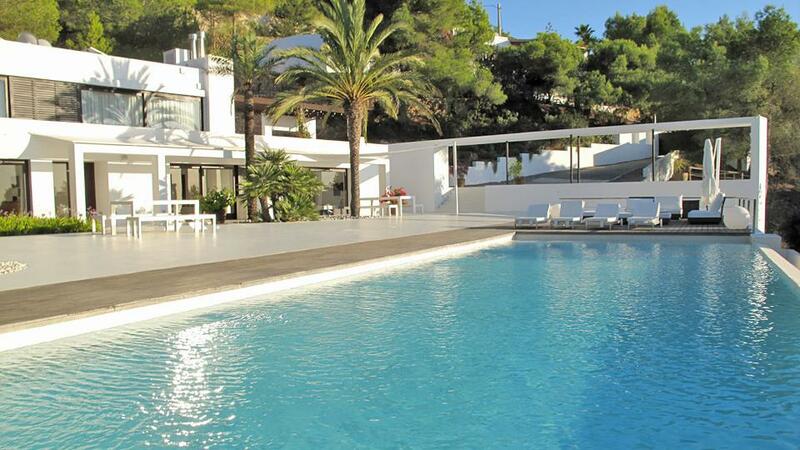 Supermarket 1000m, 700m from the village of Es cubells Ibiza town 15 km. Airport about 10 km. - Advance payments can be made with the following payment method : Mastercard - Carte Bleue - Bank transfer.